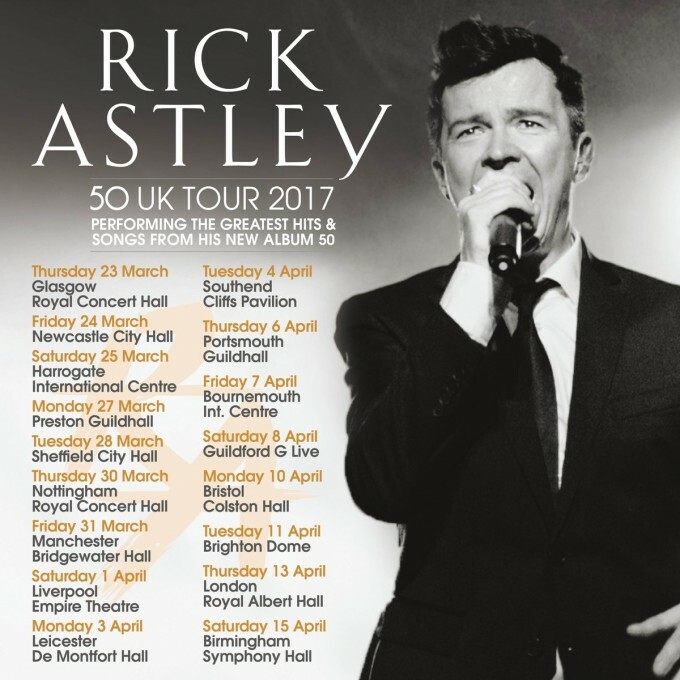 Multi-Million Selling artist Rick Astley is performing at Preston Guild Hall on Monday the 27th March 2017. If you are one of the lucky few to have purchased a ticket for this evening of entertainment then why not call Easirent Preston on 01772 886 888 to arrange your Car hire Preston to get you to the venue on time. At Easirent Preston we offer Preston Car hire from one day to 28 days and beyond, and have on fleet a range of vehicles from the smaller funky Fiat 500 up to large estate cars. Rick Astley has sold over 40 Million records with 8 UK single top 10’s and has spent 67 weeks in the top 40 single chart. His new album “50” is his first studio album in over a decade and reached number one in the UK his albums have spent 77 weeks in the top 40 already. Rick Astley will be performing classic tracks as well as songs from his new Album 50. Preston Guild hall is a great Venue in Preston comprising a 780 Seat theatre ideal for music, comedy and Family shows. So don’t delay contact Easirent Preston now and book your Preston Car hire. Also follow us on Twitter and Facebook and watch out for specials offers on Car hire Preston and Van hire Preston throughout the year.